Sign up for the NEW Multi-Battle League "Here"!! Want to Stream videos for Solaris? Click HERE for details. I wanted to take the time to Thank You all for making the community stand once again. I want to thank LoneQuincy for giving me the ambition to fire up Solaris again, and get it back running. I am fortunate to have reunited with all friends from the past and now new ones, that it makes me happy that I have made this choice. Pokebank is now available in the European, Austrailia and New Zealand Regions. When downloaded it will automatically have the 1.1 update. The 30 Day Trail will be redeemable until 3/14/14. 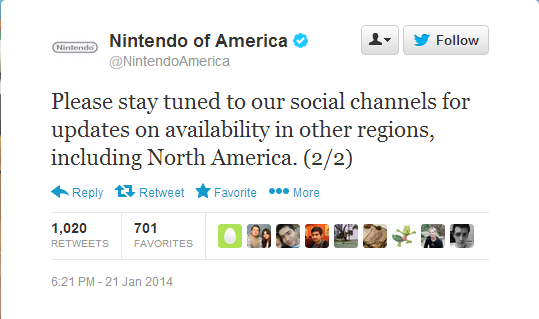 The North America Release is still yet to be announced. People will be able to collect their Celebii which runs until September 30th 2014. 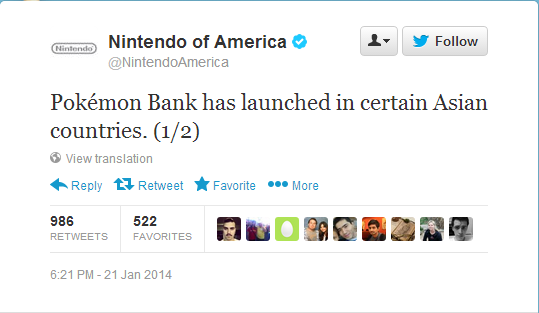 So I decided to poke around the Nintendo of America Twitter and noticed that the two most recent tweets (at time of writing) had some minor info about PokeBank. Hello members of the Solaris League! Today I would like to present on our upcoming agenda for the Month of February, with our site slowly gaining new members and some familiar faces, I proudly would like to present to you on what is to be expected on our new update!